The Tallon Overworld table is lush and teeming with life. Every Metroid title has contributed to the overall story arc of Samus' adventures, and with so many filling up the chronology it's about time we see her take time out for something a little different. Enter Metroid Prime Pinball, the genius combination of Samus' Morph Ball and the traditional world of pinball. Years ago Samus herself made a cameo appearance in the Virtual Boy title Galactic Pinball, but now we've got the real deal. 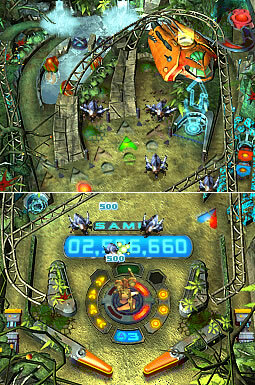 It's generally known that Kensuke Tanabe, producer of Metroid Prime Hunters, conceived of the idea to merge Metroid and pinball after seeing the work Fuse Games (Pinball's developer) had performed on Mario Pinball Land (and if they can squish Mario into a ball, using Samus' Morph Ball makes a lot more sense). The end result is what you would expect in any pinball game, but with a final product dripping in Metroid Prime atmosphere. The production values are extremely high - we've got audio and visual inspiration tying the game to the original Metroid Prime's universe perfectly. Fuse Games have recreated every major region of Metroid Prime's Tallon IV world into its own pinball table (curiously with the exception of the Chozo Ruins), with two tables delivering most of the action (Pirate Frigate and Tallon Overworld) and all the rest playing host to heated boss battles with familiar foes. The game also wouldn't be complete without some sort of Nintendo DS multiplayer experience, which has been captured in a special table modeled after the Magmoor Caverns. Fuse Games even managed to squeeze in a believable wall-jumping segment. Essentially the game gives you a basic pinball experience, so fans of pinball in general should enjoy it thoroughly. All your traditional trappings like bumpers, ramps, those crazy flashing lights and multiple flippers are all accounted for. But the real test is how well the game fuses with the Metroid universe. Metroid fans will instantly recognise the mini-games strewn throughout the two main tables - you'll be taking on Space Pirates, Parasites, Beetles, Shriekbats and more of Tallon IV's inhabitants. 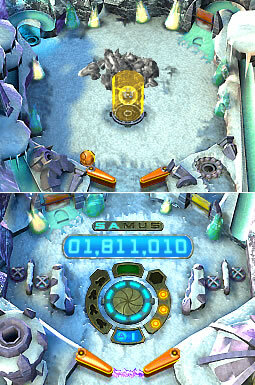 Some spin-off titles tend to lack traditional plots; in this case Metroid Prime Pinball is loosely based on the first game in the Prime trilogy. 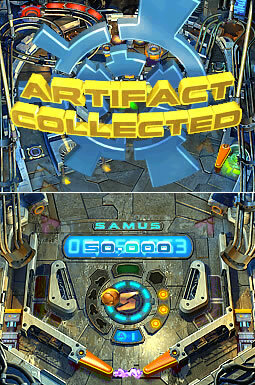 Playing the Multi-Mission Mode leads players through the first few tables to collect Artifacts modeled after Prime's twelve. Collecting all twelve will eventually lead to the Impact Crater where a visually-stunning battle takes place against the Metroid Prime creature itself. 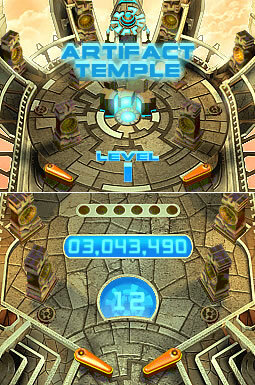 The mini-games are mostly used as the primary method of collecting Artifacts, with players either tasked to whack all on-screen enemies with the ball or complete some other objective. In the timed mini-games the ball can sometimes get a bit sluggish and trap itself away from where it needs to be, so a lot of patience is definitely needed. But my favourite are the multi-ball mini-games - there's a lot of satisfaction to be had when hearing the suit voice say "Jackpot" over and over, and on one table you might find yourself unable to keep track of all the balls (literally). Power Bombs and Missiles play a welcoming role in Samus' arsenal. 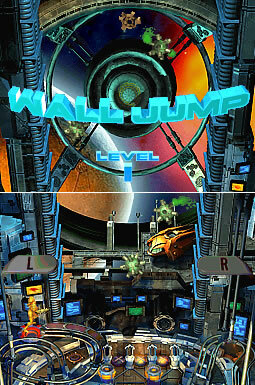 Visually, Fuse Games opted to craft the game in traditional 2D artwork with a simulated 3D pinball environment. The end result is actually quite pleasing and a nice change from polygons - each table is crisply detailed with blinking lights everywhere and smooth animations for the Morph Ball pinball itself. Each table takes its borrowed Tallon IV region's atmosphere very seriously - like how glowing Phazon deposits litter the Phazon Mines table, and the on-and-off deluge of rain pouring down on the Tallon Overworld table! Each boss character is also pleasing to the eye and makes the transition to 2D art effortlessly (just wait till you see Metroid Prime's entrance in the Impact Crater). The audio is very impressive for a Nintendo DS title and presents some superb remixes of classic Metroid themes. From the moment you hear the familiar opening title theme you know they've nailed the music. At the forefront of these tunes is the Brinstar metal remix for the Pirate Frigate table - this theme even went on to feature in Super Smash Bros. Brawl for the Wii. The sound effects are another masterpiece, it's great to hear so many new and familiar effects that fit the Prime universe. The suit voice used to narrate mini-games and other incidental events is a fantastic touch; you'll be hearing a lot more than "Recording to Logbook" throughout this game. Scoring twelve artifacts won't be an easy task. Pinball games are naturally and usually fast-paced, and this tends to work both ways for Metroid Prime Pinball. The utilisation of both screens on the Nintendo DS works snugly for the elongated shape of a pinball table, and the hidden partition between the screens doesn't seem to hinder the player. The tables themselves however are rendered quite large on the screens, so there's not much room for the ball to move around in. This tends to lead to extremely frantic moments when the ball picks up speed and bounces around the table very sporadically; blink once and you might lose a ball down the hole instantly. This scenario only worsens when Triclops or Metroids hover above the hole - at such close proximity it's ridiculously easy for the ball to whack one of them and go straight down the hole. So a lot of patience is required if you want to enjoy this game. If you seem to have extremely back luck with the ball, just remember that if the game were any easier it would lose appeal and longevity very quickly. Avoiding feelings of frustration is going to be tough, so remember that luck tends to play some part in this. Frenzied, frantic and nervous tension await in the Artifact Temple. One consolation is the tilt function - unlike real pinball tables you can shake the table all you want by rubbing the DS touch screen. The flippers will never lock down after too much abuse. The temporary protective force field covering the hole between the flippers is handy too - you'd probably never expect to see that kind of thing on a real pinball table. If you do manage to have luck on your side and make it all the way to Metroid Prime's lair to slay the beast, an Expert Mode awaits conquerors of the game. All mini-games begin at level 2, so it's probably going to be a very long time if you try to finish it again on this setting - don't try too hard.